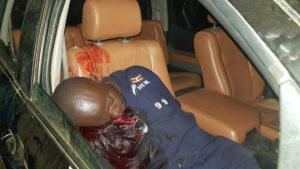 This week several people were shot during the Arua Election chaos over claims they tried to attack the President of Uganda’s convoy while campaigning for NRM candidate Tiperu. 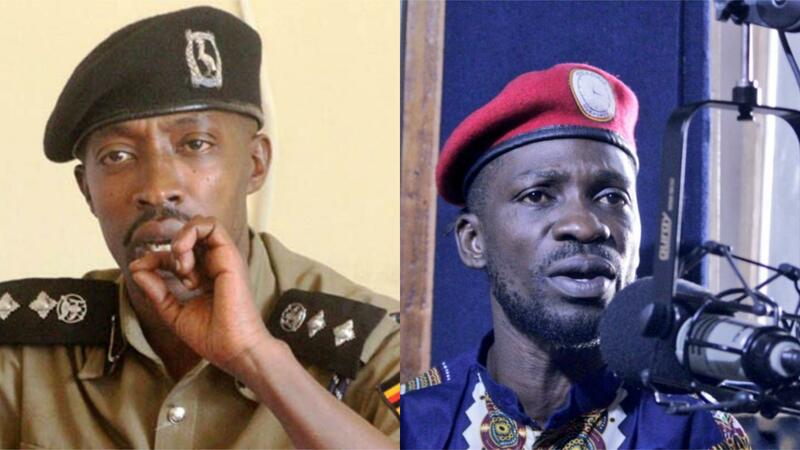 Yasin Kawuma, MP Kyagulanyi Ssentamu alias Bobiwine’s driver was killed by a bullet that hit him during the chaos as Kassiano Wadri’s supporters allegedly pelted stones at the presidential convoy and vandalized President Yoweri Museveni’s vehicle. While addressing journalists on Tuesday afternoon at the police headquarters in Naguru, police spokesperson Emilian Kayima said police does not know the person who shot dead Yasin Kawuma. On Monday, MP Kyagulanyi said in a tweet that he suspects the bullet that killed his driver had targeted him as the chaos ensued. “Police has shot my driver dead thinking they’ve shot at me. My hotel is now cordoned off by police and SFC,”Kyagulanyi tweeted on Monday night. It is alleged that one of the vehicles in the presidential convoy was vandalized during the scuffle as Wadri’s supporters pelted stones on the convoy. 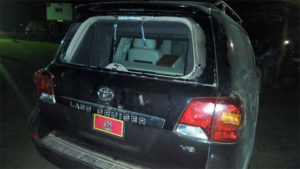 “President Museveni’s car was hit by opposition supporters this evening in Arua town. The police will issue a statement on this incident shortly,” the senior presidential press secretary Don Wanyama, the senior presidential press secretary posted on his twitter account on Monday night. The police spokesperson told journalists that by the time the convoy were pelted with stones, President Museveni was inside. Kayima says a number of people including Members of Parliament have since the two incidents been arrested to help in police investigations. Police say both Bobi Wine’s Tundra vehicle and the grader have since been impounded to help in investigations into the incident.